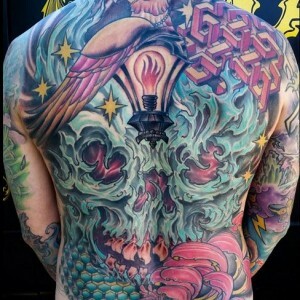 Ben Gun is truly a great tattoo artist, with over 15 years’ experience in the industry. 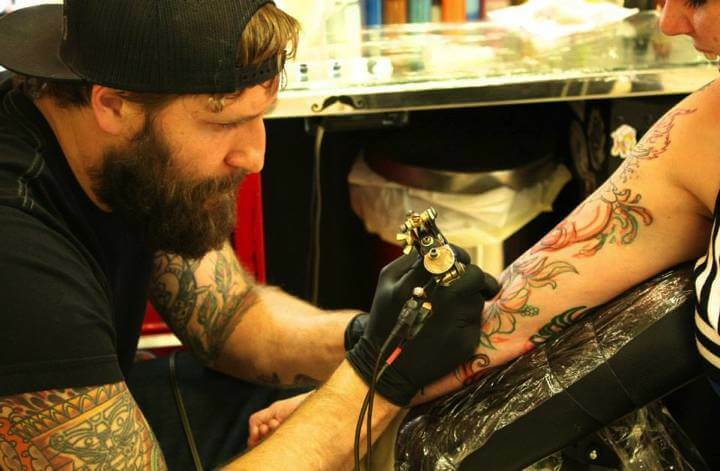 He is also the shop owner of Mantra Tattoo in Denver Colorado. Ben enjoys doing large, intricate pieces with a lot of detail and color, and with all his vast knowledge and experience, he is capable of doing any style. Ben’s passion for comic books, particularly the art of British illustrator Simon Bisley, inspired him to start his career as a professional tattooing artist. But before becoming a well-known cornerstone tattooer and active friend of the tattoo community, he trained to work in this medium. Happily, as more friends began requesting tattoo art from him, his hobby eventually led him into a full-time career. The influence of British illustrator Simon Bisley, and Portland neo-traditional tattooer Dan Gilsdorf endows him with tremendous skills to create a particular tattooing style that combines the bold American traditional lines and symbolism with the looser form of illustrative style. His designs are characterized by a rich watercolor-esque color palette, making it perfect for custom work. Plus, all the pieces have movement-like effects combined with a perfect balance between masculine and feminine imagery. Ben hosts some awesome parties, events, and alternative model shoots at his tattoo studio in Denver. So you never want to miss a party at Mantra Tatoo. Come and visit Ben at Mantra Tattoo for some new ink! 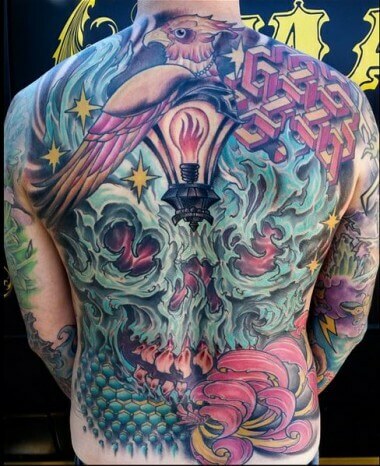 Ben is considered by many one of the greatest tattoo artists in Denver. But we’ll let his work do the convincing. A first glance at his pieces will unveil all the hard work he has done to be where he is today. Just check out his portfolio to see it for yourself!